Pakistani customers asked us about Newheek about the details of the High voltage cable and sent us specific requests. 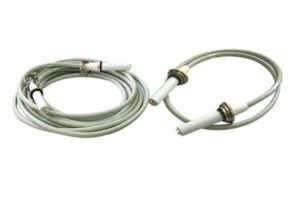 The Newheek cable ray is the cable between the connecting tube and the high voltage generator. Newheek high voltage cable is commonly used in U-arm, C-arm, filming machines, pet X-ray machines and mammography machines. There are currently two types of cable ray, one is 75KV and the other is 90KV. 75KV means that the high voltage value of one end of the cable ray is 75KV, and one cable ray is divided into two ends, that is, the whole high voltage cable value is 75KV*2=150KV. The same reason 90KV means that the high voltage value of one end of the cable is 90KV. The value of the whole cable is 180KV. If you want to know more about the Newheek cable ray, please also contact our customer service.